Just about every MMO player has an IP he’d like to see undergo the MMO treatment. 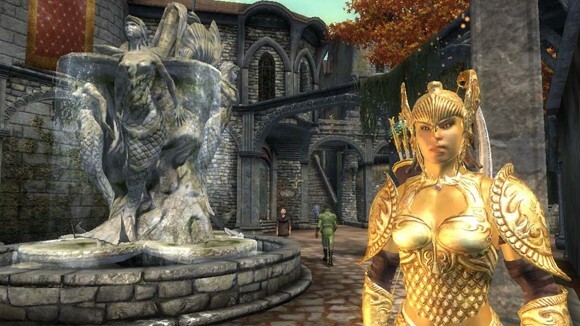 For some of us here at Massively, that IP is Bethesda’s long-running Elder Scrolls series. Due to a deep reservoir of lore and the fact that earlier games in the series (notably Morrowind and Daggerfall) were more MMO-like than many modern MMOs, we’d love to see what Bethesda would do with such a beast. Apparently we’re not the only ones, as SystemLink has posted a bit of speculation on a possible The Elder Scrolls V, highlighting a few job postings as evidence in support of its theory. While we’re not completely sold on the author’s conclusions — mainly due to Bethesda’s plainly articulated stance on the massive genre — we suspect this won’t be the last we hear of an Elder Scrolls MMORPG..
I’m not sure, some things are just better experienced solo, and i think Morrowind and Oblivion were those games. I can’t imagine multiplayer fitting there. Maybe if there was a large change in overall gameplay (like warcraft -> wow), but then maybe i would feel its no longer the same TES… I’m just not seeing it, but i am sort of curious to see what they have come up with, if there even is an MMO.